﻿ Drag Heals streaming video at Border2Border Cinema with free previews. 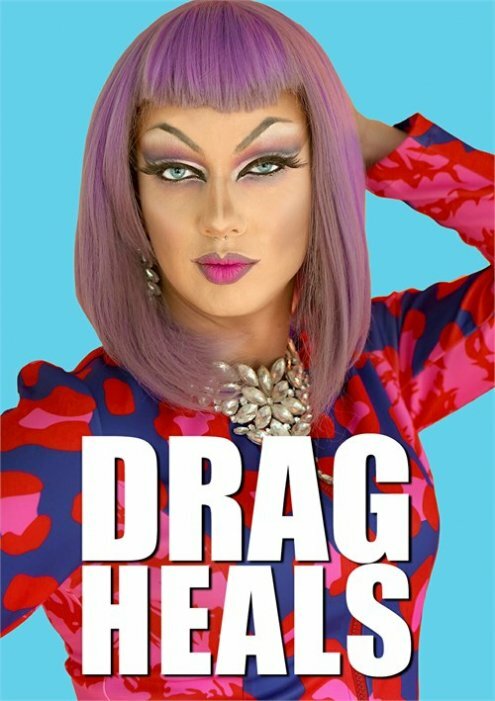 Drag Heals is a documentary series that follows men who have never worn heels or make-up but have always dreamed of letting their inner drag queen out! Drag Heals is a 10 week inner and outer personal journey that culminates in a public show. RuPaul brought Drag Race into the homes of millions and made the once taboo art form mainstream. This newfound renaissance has inspired a new generation to explore the art of drag and challenge the constructs of gender. While RuPaul's Drag Race is a competition, Drag Heals is a documentary journey that follows men who have never worn heels or make-up but have always dreamed of letting their inner drag queen out! These men (and aspiring queens!) enter Canada's first ever Drag class to explore how to create a compelling drag persona based on personal experience. For most, this is akin to a second coming out process. The culmination of the workshops will be a public performance where they will face down their fears of stepping into the limelight. Drag is typically viewed from a distance; Drag Heals gives unparalleled access to the creation of a performance that is more than just your average lip synch. The classes are structured so the men must reveal their true selves in preparation of their public performance. In order to do it, they must be brave and vulnerable. As performance time draws near, the urgency to create a compelling piece our Queens to face down their nerves and personal demons in order to deliver a quality performance for people who have shelled out money to see just that. Deeply personal and raw, these Queens tackle prickly issues like gender identity, mental illness, heartbreak and feminism to better understand themselves and their queer experience in an otherwise straight world.